NYC Car Lease offers the best auto leasing services in and around New York City. Our auto lease services are exceptional, with many lease specials. Most importantly, our lease prices are very affordable. 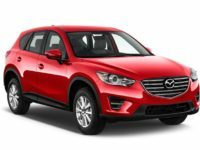 Whether it is the Mazda CX-5 SUV, Mazda3 Sedan, or the Mazda Miata Roadster, they are available together with many more Mazda models. Therefore, just take the time to go through our selection vehicles and we guarantee that you will get the exact car model that you intend to lease. NYC Car Lease makes choosing your car much easier than anywhere else. 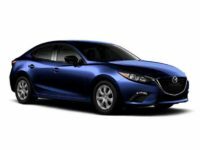 If you are looking for a Mazda, for example, you only have to browse our site and click on the brand to show the Mazda models that you are looking for. From there, you can easily select the colors you are interested in and the trim package that you want. 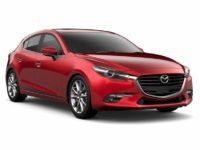 Some of the models include Mazda3 4-door Sedan, Mazda6 Sedan, Mazda3 5-door Sedan, Mazda Atenza Sedan, Mazda2 Hatchback and Mazda Axela Sedan. 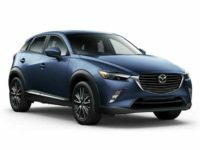 We also have higher end Mazda models like Mazda CX-3 SUV, Mazda CX-5 SUV, Mazda CX-9 SUV, and Mazda5 SUV. For clients interested in a Mazda truck we have the Mazda BT-50. Our selection has also catered for all Roadster lovers. 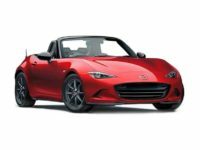 We have the Mazda MX-5 RF which is a highly performing Roadster. It offers great comfort, and the best part is that it has high fuel efficiency. For clients interested in a Cabriolet Mazda we have the Mazda MX-5 Miata Convertible which is an excellent performer on the roads too. You can use our convenient website to look through our nearly endless inventory of great vehicles until you get the one that you love. We are not limited to the Mazda brand alone. We virtually have all types of vehicles, and we are ready to lease them out to you. Here at NYC Car Lease, we always put our clients first in every leasing deal. That starts with providing customers with the most convenient platform to look at our inventory of vehicles and continues to the point where we deliver the car right to their home or other preferred premises. 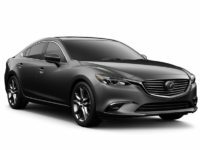 Our company offers a vast selection of vehicles, so you are sure that you will find the recommended vehicle that you desire. You can do all your shopping over the phone online with the help of one of our sales representatives. Since we have cars of all makes and models available, with our company, there is no limit on your shopping. 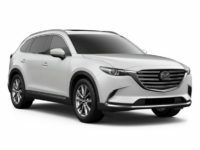 If you have some questions about NYC Car Lease services or you’re ready to lease a Mazda vehicle from us, don’t hesitate to give us a call via 929-239-3040. We will assist you the soonest possible so that you can get the perfect lease car for you and when all is set, one of our auto experts will arrange a free car delivery for you. NYC car Lease looks forward to serving you.